Meet Parker. He’s EOR’s newest young philanthropist. He’s only 9 years old, yet this guy has a heart for orphans in Ethiopia. 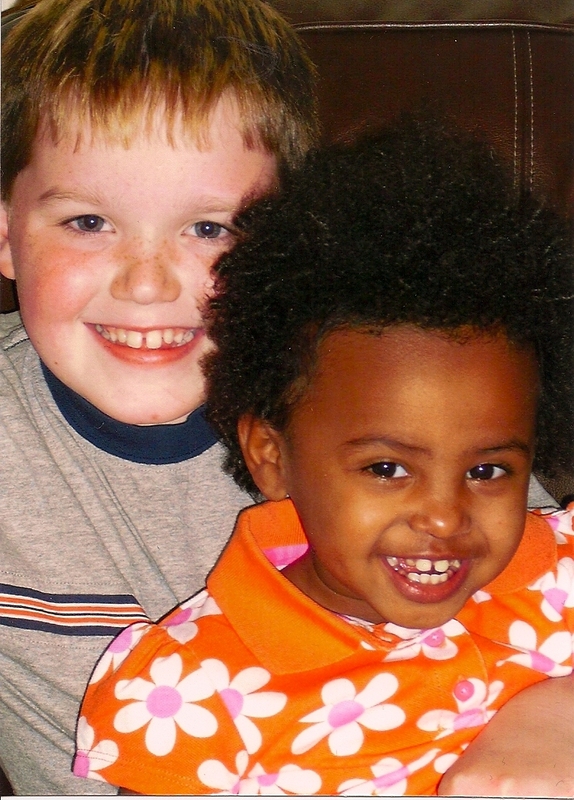 His little sister Mia was adopted from SOS EE’s Toukoul Orphanage in Addis Ababa, Ethiopia. 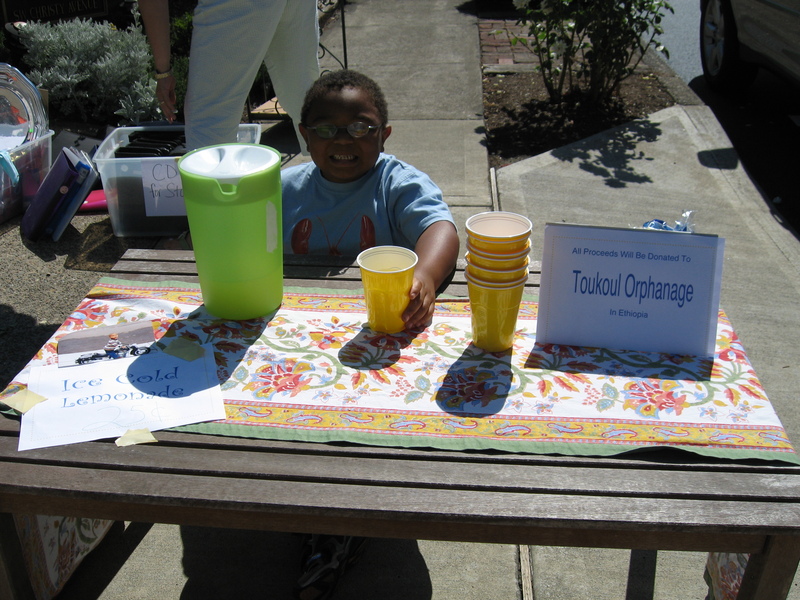 Recently this rock star kid held a lemonade stand and donated all the proceeds, $50.00 to EOR for his sister’s orphanage. Thank you Parker for making a difference in many orphans lives. Is the weather getting warm where you live? Here in Portland we had about 31 days of straight rain but am happy to say the past few days have been sunny and in the 80’s. The neighborhood children are starting their summer lemonade stands. Are you children getting their lemonade stands ready? Would they like to give a portion to a charity? Help them decide where to donate their hard-earned cash. Brainstorming ideas is always fun..maybe a local children’s hospital, animal shelter, loaves and fishes, or how about Ethiopian Orphan Relief?!? The past few years we had several children give their fresh squeezed lemon profits to EOR. Their generosity can help provide bedding for kids in Orphanages, safe drinking water for villages in Ethiopia, help with purchasing boards and nails for a new orphanage and much much more. 1. Attract a Crowd: Help your kids make flyers and signs to promote their stand–the larger, more colorful and full of kid drawings, the better. Use an old sheet as a table cloth and have the kids paint on it with fabric paint. Decorate the driveway with chalk. Add an element of fun by setting up a simple ring toss game where customers can win a free goody. Combine the stand with a garage sale or set it up outside the local grocery store to bring in more foot traffic. 2. Offer Snacks: Offer tasty treats like homemade cookies or baggies full of homemade trailmix-a combination of Cheerios, dried fruit, M&Ms and nuts. 3. Make Homemade Lemonade: The instant stuff is fine, but if you want your customers to keep coming back, offer something really special and delicious. Below is a crowd pleaser recipe. If your child chooses to Make a Stand for Ethiopian Orphan Relief, please send us photos along with the donation! We’d love to post a special thank you on the blog. 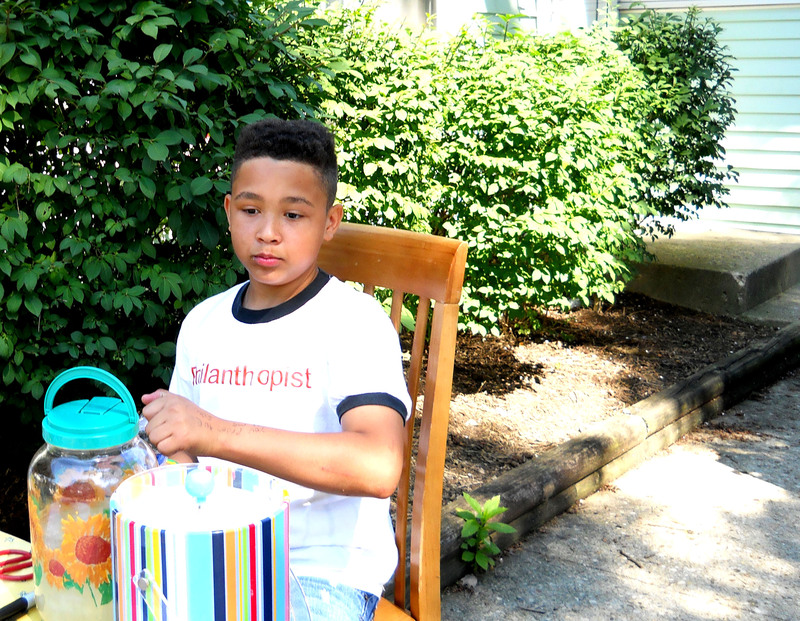 Thank you to Elliott from Ohio for setting up a lemonade stand to benefit Ethiopian Orphan Relief, Inc.! The money you’ve raised has been sent to Ethiopia with Board Member Dawn and Advisory Board Member Krista and used to purchase children’s clothing and jewelry to stock our online store, which will launch in mid-August. All proceeds from the store will benefit our programs!